If you are planning to participate in a Marathon, it’s important that you consider few preparation tips. Here is a guide to prepare well in advance for the marathon. Before the race day, it is imperative to eat and drink the right kind of foods and beverages. A runner must have enough stamina to reach the finish line on time without pain or fatigue. It is for this purpose that a marathon runner should eat and drink smartly. A marathon runner’s diet must consist of all essential body building blocks, such as carbohydrates, protein, fat and fibre. Calcium is required for bone strength and vitamins and minerals are of crucial significance to boost energy levels. On the day of the marathon, a runner must not skip breakfast. His breakfast must be inclusive of high-carb foods, but the diet content must be balanced. If you wish to complete the marathon, you may have to run for three to four hours at a stretch. The amount of water in your body aids in the maintenance of undisrupted blood flow to the skin, heart and muscles. Along with essential nutrients, the level of fluid in the body must be maintained. Excessive perspiration leads to loss of salt from the body thus, increasing water intake days before marathon helps keep one well hydrated on the day of the marathon. Other than water, you may also gulp down sports drinks. Drinking plenty of water on the day of the marathon won’t be enough to keep you hydrated and enthusiastic throughout the race. Take glucose, lemonade, energy drink or sports drink to replenish the lost nutrients and body salts. For extensive running, your body must be in good shape and should therefore, be trained accordingly. Training before the marathon is severely exhaustive and therefore, a toned and well-shaped body is a prerequisite to any race. 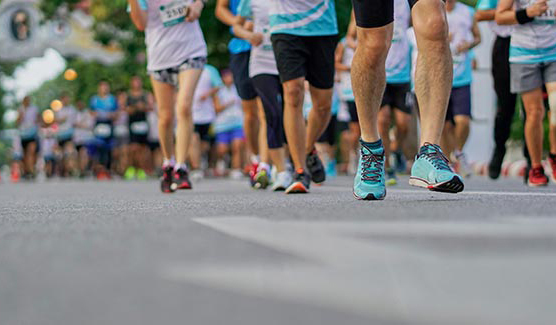 Before the marathon, get your complete physical examination done and let your doctor know about any physical injuries you have had because an ounce of prevention is worth a pound of cure. A firm and strong body with flexible muscles is what a marathon demands. Stretch daily to do away with the stiffness and strengthen your back and shoulders. In addition, make sure to get plenty of sleep. Don’t overdress for the marathon; this is the rule of the thumb for the marathon day. Race usually starts in the early morning, but by the time you have finished it, the sun will be blazing above your head. 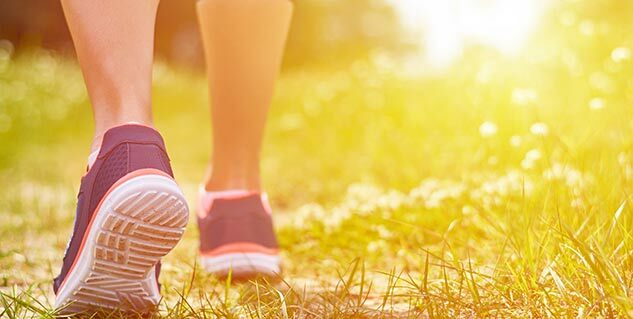 Heavy clothing will led to carrying additional weight and an increased body temperature that will result in sweating more and the risk of dehydration. Wear cotton tee with a comfortable lower to allow required heat loss and prevent chafing. Sport a comfortable and well-fitting pair of running shoes. Before purchasing the shoes, try them out. Follow the aforementioned tips to taste the success of winning a marathon race.